Medical malpractice cases are very difficult. Unfortunately, bad medical results do sometimes happen in the course of the practice of medicine. A bad result, itself, does not necessarily mean that medical malpractice has taken place. The rules applicable to medical malpractice are very precise and are written, quite frankly, more to protect the medical profession and its insurance companies as well as its lobbyists rather than the injured. 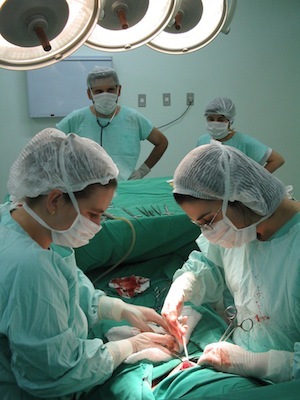 Medical malpractice cases involve a medical practitioner (a doctor, a technician operating under a doctor's direction, a nurse, or a hospital or other healthcare facility itself) that has failed to provide reasonable and appropriate standards of care and treatment to a patient (you or your loved one). The standard of care is determined by the type of physician, the type of medical facility, the complexity of the case, and the exact medical situation or condition that brought the patient to that physician or facility. However, what exactly is "appropriate care?" You would not expect to get incredibly sophisticated trauma assistance at a semi-retired doctor's office in a walk-in clinic 50 miles from the nearest hospital. Similarly, you would expect to get excellent care and treatment at one of our local hospitals or from one of our local physicians. After all, South Florida has approximately six million documented residents, and dozens of fine medical facilities. If you think that you or a loved one is the victim of a physician's negligence, you must immediately contact us. As stated above, these cases are very complex. Also, there is a very strict statute of limitations that applies. It is two (2) years from the date of the malpractice (alleged malpractice), and while there are certain exceptions to that two (2) year statute of limitations, there are also procedural bars that limit a person's ability to prosecute a medical malpractice case/claim. 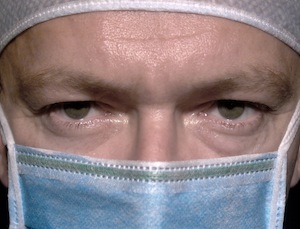 For example, an affidavit has to be completed by a totally independent physician with similar qualifications and skills to the defendant physician, and that affidavit has to state that the care that you or your loved one received fell below the appropriate level or standard, and this, therefore, constituted the "medical malpractice." Absent such an affidavit, there is very little that can be done. We provide aggressive representation to victims of medical malpractice in South Florida and throughout the State of Florida. These cases can, in addition to being very complex, also result in massive injuries and/or death.